who themselves scored in the top 1% and who have superb understanding of the GMAT algorithm. We guarantee you GMAT score increase. Pay as much as you progressed! Live GMAT classes in Austin, Houson, Dallas. Online from any place in Texas. we have plenty of prep options to get you ready. 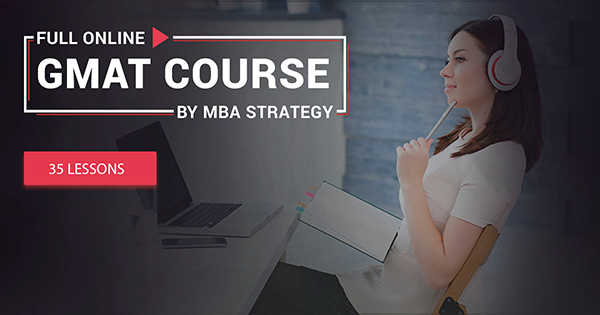 Compare the formats of GMAT preparation courses from MBA Strategy. Choose the one that fits you the most. Our tutors: Each core lecture class and practice session is led by an exceptionally qualified professor who has scored in the 90th percentile on the official GMAT and has a graduate degree and extensive teaching experience. Yevgenii has been working as a GMAT Math consultant for our company since summer 2015. Apart from his work and studies, he has a lot of different hobbies. He also is a volleyball team coach for his university and plays at different championships. He knows how to get the best results everywhere. His plans for the future are to obtain a PhD in economics in the USA. Kseniia is a very many-sided person: she has very broad horizons, from constantly perfecting her English to dancing. Kseniia has always been a straight-A student, and she does everything perfectly and with the best results. Also, she is a professional photographer (she has worked as one both in America and Ukraine). Roman has been learning English since elementary school. He has a significant experience of consecutive and simultaneous interpretation. In 2012, he has worked as an interpreter at the international linkup with ex-presidents of Slovakia and Ukraine. Due to his knowledge and enthusiasm, Roman will help you with any GMAT Verbal question. In 2012, Liubov has obtained a candidate degree. She also has published four articles in leading domestic scientific journals. During her post-graduate studies, Liubov has found a diverse teaching experience: she has taught advanced math for two years, led a mathematics group for grade school students and helped students prepare for quantitative sections of different tests (GMAT, GRE). Olga has been helping students to prepare for test since 2013. Her students’ average Verbal section result is 71%, and 24% of her students have a 700+ result.